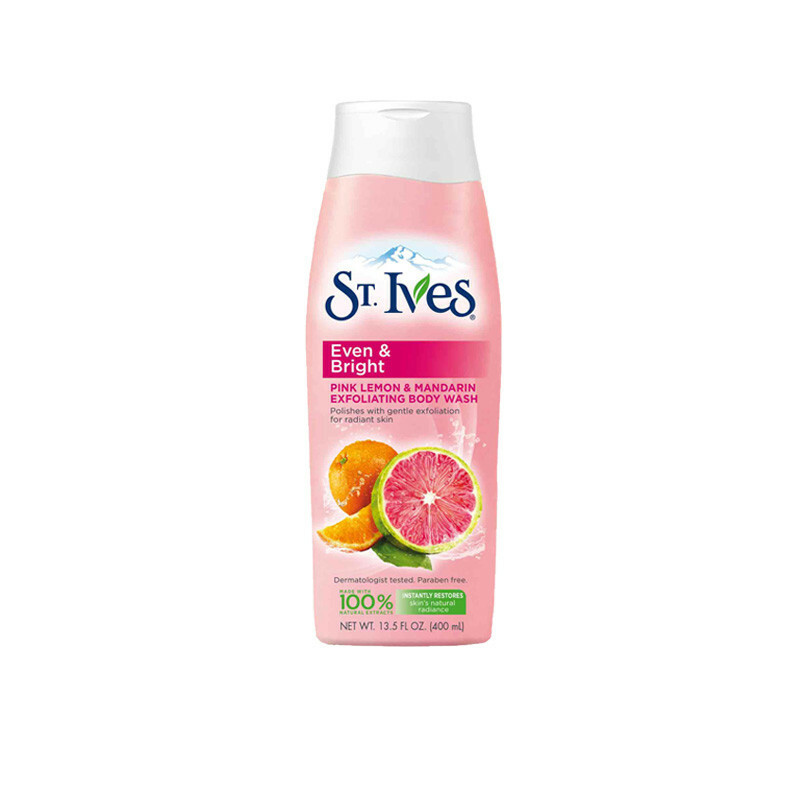 St.Ives body wash made with natural ingredients keeps your skin smooth and soft and provides long lasting freshness with beautiful smell. St.Ives Pink Lemon & Mandarin Orange is the refreshing formula that evens out the skin making it look brighter and St Ives healthier. Both mandarin orange and pink lemon are high on Vitamin C, they fight away dull and drab skin that has lost its natural glow. It is the best body wash for uneven skin tone that is hypoallergenic in nature, paraben free and dermatologically tested to bring you the most organic experience of bathing. Containing 100% natural exfoliates your skin is up for a sheer treat and exfoliating body wash gently polishes way imperfections for more even-toned skin that glows.